Cheap non-stop flights from Barcelona to California €235! Lately we posted some great deals based on new long haul low-cost carrier LEVEL. (However operated by Iberia at this moment). Althought the most attractive deal to Argentina is no longer available you can still book some super cheap non-stop flights from Barcelona to California (San Francisco). so we have decided to update this deal in this new article. Non-stop return flights to Oakland are still available for €235. Remember this is low cost solution. Base fare is including only cabin bag. You would have to purchase Inflight meals / drinks or checked bag separately. If interested in this promotional deal with LEVEL / Iberia you will find the cheapest flights from November 2019 and 30th of March 2020. Look for flights departing and returning on Thursday or Sunday (San Francisco). From Paris we have another amazing solution for you. Non-stop return flights to Montreal, New York, Guadeloupe or Martinique are available from €183! You can book your accommodation in California through Booking.com or Hotels.com. 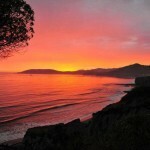 Booking sample of cheap non-stop flights from Barcelona to California €235! In this case you would fly directly from Spain to San Francisco on 21st of February. Your return flight from America back to Europe would be then on 29th of February 2020.